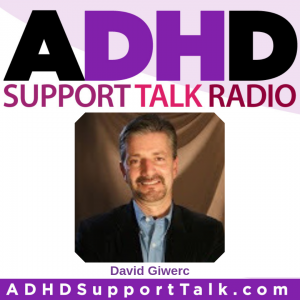 Co-host Lynne Edris talks with David Giwerc, Founder of the ADD Coach Academy, about the ADHD Coaching approach to helping clients realize their potential by tapping into their strengths and understanding how their brains work to sustain momentum. They talk about positive psychology and rumination and the importance of understanding yourself so that you can advocate for yourself and be successful, and more. David Giwerc is a Master Certified ADHD Coach, MCAC, with the Professional Association of ADHD Coaches (PAAC) and a Master Certified Coach, MCC, with the International Coach Federation (ICF). He is also the Founder and President of the ADD Coach Academy (ADDCA), the first and largest comprehensive ADHD coach training program fully accredited by the ICF and PAAC, the governing bodies of the Life Coaching and ADHD Coaching Professions. David has served as past president of ADDA (Attention Deficit Disorder Association), and was instrumental in the formation of U.S. Senate resolution 390 that declared September 7, 2004, to be National ADHD Awareness Day. In his groundbreaking book, Permission to Proceed: The Keys to Creating a Life of Passion, Purpose, and Possibility for Adults with ADHD, David shares his unique and effective coaching models for gaining control of one’s ADHD at home, work, and in the community. 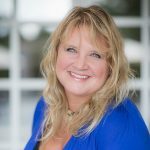 Coach Lynne Edris helps distracted professionals overcome overwhelm by reducing procrastination and improving time management so they have more time, more energy, and more money for what they love most! As a woman with ADHD herself, she has been where her clients are and come out the other side, so to speak. She’s gone from living in a constant state of chaos and under-performance to a life full of success and fulfillment! Learn more about Lynne at www.CoachingADDvantages.com, and text keyword “HACK” to 444999 to get her 7 Fool-Proof Productivity Hacks for unfocused professionals! Listen to more of Lynne's ADHD Podcast Episodes here.